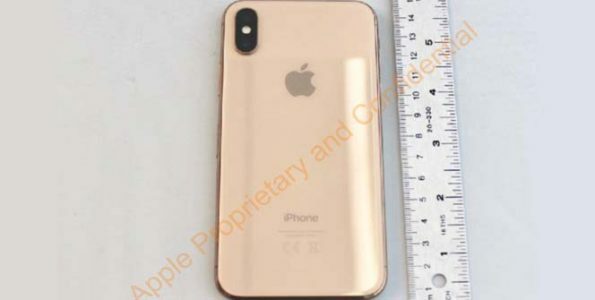 It seems Apple filed documents with the United States FCC (Federal Communications Commission) showing an iPhone X in the color gold. Talk has it that this document was filed last year in September showing different images and angles of the iPhone X in the color gold. Before the iPhone X launched, KGI Securities analyst Ming-Chi Kuo suggested that Apple might produce the iPhone X in three possible colors, gold, silver and space gray. It seems production issues caused the gold color not to be released with the other two colors. Kuo also suggested that at a later date Apple might launch the gold version once the issues were resolved. It should be noted that Ming-Chi Kuo has a track record of being 90% accurate on his predictions. Another rumor which co-inside with what Kuo stated regarding the iPhone X launching in the color gold at a later date, states that Apple might introduce the new color to help boost mid-year sales with the iPhone X. The device could debut at the upcoming WWDC in June. Let’s stay tuned for more development as it surfaces regarding the gold iPhone X.